The world of quilting in Japan is big business these days. There are at least two million Japanese quilters, and the interesting thing is that quilting in Japan was originally heavily influenced by American culture. In the 1970s and 80s, as enthusiastic women began looking for new creative outlets, the American antique quilt was a very enticing option. During the 1980s especially, there were dozens of exhibitions of American antique quilts in Japan to inspire these would-be quilters and those exhibitions were the first step in a long process by which Japanese women learned to quilt. Perhaps the most interesting source of American influence in this 40-year journey was the “Little House on the Prairie” television series, which was first broadcast in Japan from 1975 until 1982. While researching my book, I interviewed dozens of quilters in Japan and over and over, I heard stories of how this show both inspired and instructed them. In fact, by the mid-1980s, many Japanese homes recorded the “Little House on the Prairie” shows and these quilters in particular have very vivid memories of pausing the recordings on the scenes of Caroline Ingalls (“Ma”) sitting in her rocking chair working on a quilt. They were so captivated that they went to work straight away trying to make the same quilts that they saw on the show. One of the testaments to the huge popularity of quilting in Japan is the annual quilt festival which takes place each January in Tokyo. Interestingly, the Tokyo International Great Quilt Festival is held in the Tokyo Dome, which also happens to be the home of another American import, baseball. Each year, a quarter-million people traipse through the domed stadium to look at quilts and shop for all things quilt related. 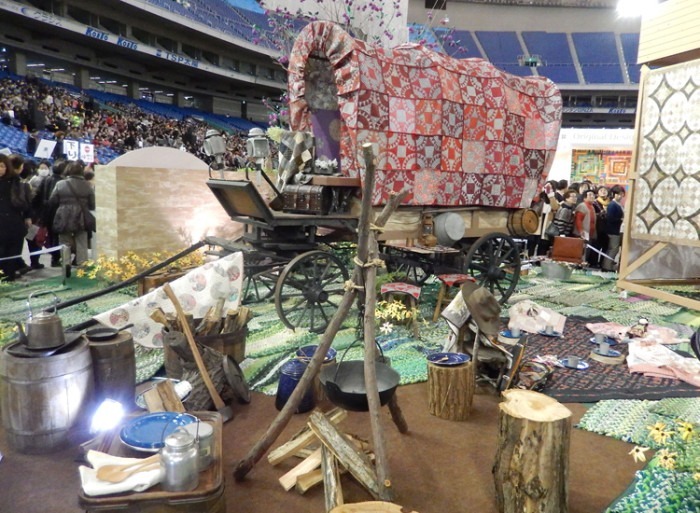 The 2015 Tokyo festival honored “Little House on the Prairie” with a special exhibition of frontier scenes complete with beautiful American-style quilts created by well-known Japanese quilters. 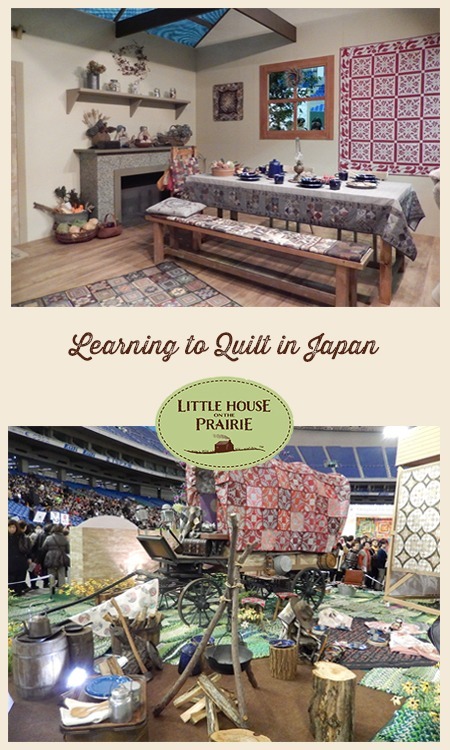 The Little House on the Prairie special exhibition at the 2015 quilt festival in Tokyo was very popular with many of the 230,000 attendees. The television series continues be very popular in Japan to this day. Many Japanese love the romanticized view of the American old West and just as in other cultures, many were first introduced to the story through the books. One fascinating bit of history, The Long Winter, the sixth book in theLittle House series, was part of the first wave of 100 Western books that were translated to Japanese during the Allied occupation of Japan after World War II. Beginning in 1948, The Long Winter was placed in schools and libraries around the country and quickly became the most popular book in the series. 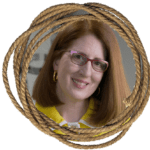 As I travel around the U.S. speaking to quilt guilds about my new book, quilters love to hear how “Little House on the Prairie” influenced quilting in Japan, mostly because the show is dear to them as well. To learn more about the history of quilting in Japan and meet some of the contemporary quilters in Japan today, pick up a copy of “Japanese Contemporary Quilts and Quilters.” Signed copies are available on my website. 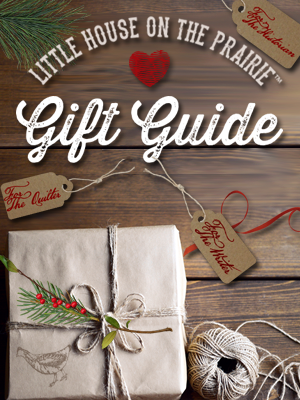 Or you can find the book at museum gift shops, quilt stores, or on Amazon. 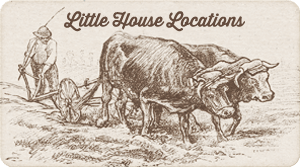 At the 2015 International Quilt Festival in Houston, Andover Fabrics introduced a whole new line of official Little House on the Prairie® quilting fabric featuring many designs that honor quilts from the television series. Many bloggers and well-known quilters are already making and sharing the beautiful quilts they’ve made with this special new line of fabrics. It’s fun to see how today’s quilters are re-interpreting those old quilts that were so special to so many viewers around the world. 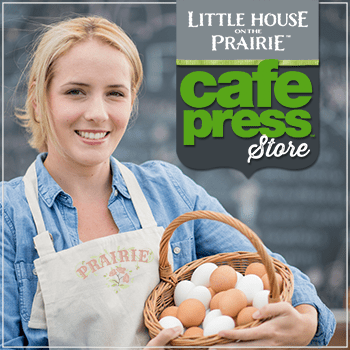 To find a store near you that carries the fabric collection, please visit the Little House on the Prairie Store Locator. 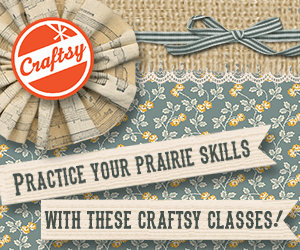 You can also purchase the fabrics and Quilt Kits online at Craftsy. 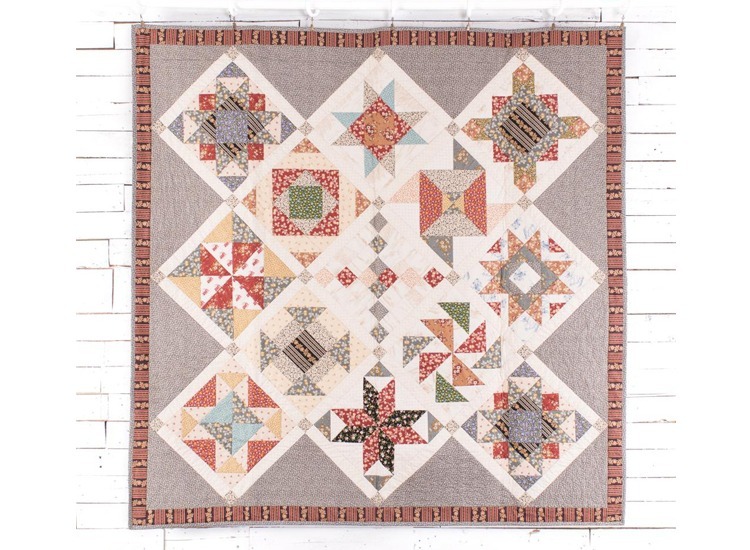 Have you ever made a quilt inspired by Little House on the Prairie or do you have a favorite one that you’ve seen? Please share with us in the comment section below! 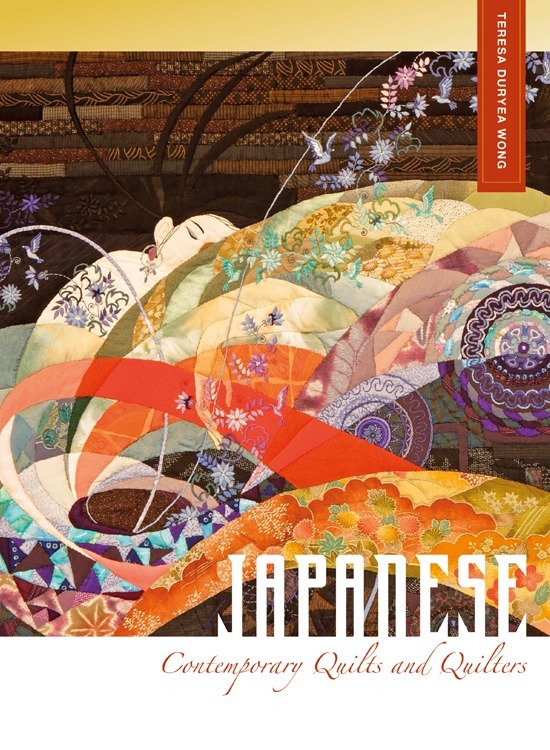 Teresa is the author of “Japanese Contemporary Quilts and Quilters: The Story of an American Import.” This beautifully illustrated book shares the story of how the vibrant craft of quilting in Japan was originally imported from America. 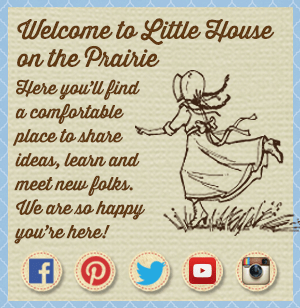 One of the influential sources on Japanese women learning to quilt was the Little House on the Prairie TV show. Teresa was named the 2014 Bybee Scholar by the Texas Quilt Museum and the Bybee Foundation in recognition of her research. Oh this is a wonderful piece of quilting information! I had no idea LHOTP was even known in Japan! I had imagined their quilting heritage was primarily rooted by their long history of fine workmanship.